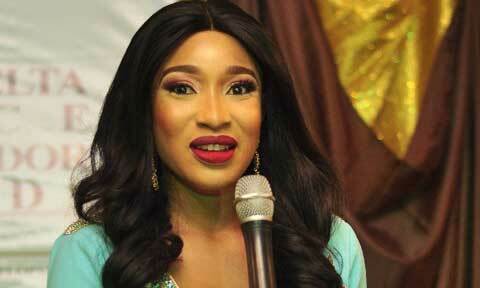 Nigerian Nollywood actress Tonto Dikeh had claimed she is now a born again Christian but her attitude, fashion sense and many other things has been a source of doubt to her claims. Many will say that God looks at the heart and not the way people dress, but also remember that you are addressed the way you dress. In our society, certain dresses are appropriate for some certain category of people and if you do not belong to such category then you definitely need questioning. 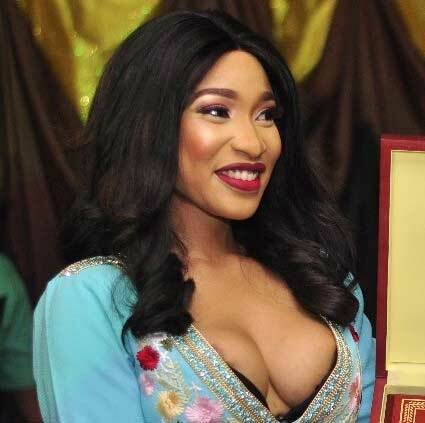 Tonto had chosen to wear this particular dress that was well exposing her bosom to the general public and this has indeed called for questioning. The single mother of one wore this dress to the Niger Delta Peace for Development Youth Summit/Niger Delta Ambassador Awards that held in Port Harcourt Rivers state some days ago. 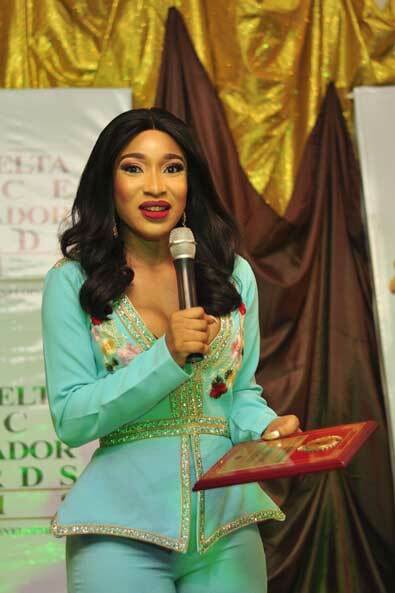 She was honoured with ‘Humanitarian Peace Ambassador Award’ at the event. With such dress she could easily be categorized among the general public workers that we have in the country who are flooding the streets at night seeking patronage. Is she really born again or born against? A true Christian will portray Christ and not the world, this dress is far off for a born again and also a Christian.